The following, written in 1940, is excerpted from Interventionism, An Economic Analysis, which was originally part of Nationaloekonomie, the German predecessor to Human Action. It is a law of nature, they say, that great historic changes cannot take place peacefully or without conflict. It would be petty and stupid, they contend, to overlook the creative quality of their work because of some unpleasantness which the great world revolution must necessarily bring with it. They maintain one should not overlook the glory of the new gospel because of ill-placed pity for Jews and Masons, Poles and Czechs, Finns and Greeks, the decadent English aristocracy and the corrupt French bourgeoisie. Such softness and such blindness for the new standards of morality prove only the decadence of the dying capitalistic pseudo-culture. The whining and crying of impotent old men, they say, is futile; it will not stop the victorious advance of youth. No one can stop the wheel of history, or turn back the clock of time. The success of this propaganda is overwhelming. People do not consider the content of alleged new gospel; they merely understand that it is new and believe to see in this fact its justification. As women welcome a new style in clothes just to have a change, so the supposedly new style in politics and economics is welcomed. People hasten to exchange their “old” ideas for “new” ones, because they fear to appear old-fashioned and reactionary. They join the chorus decrying the shortcomings of the capitalistic civilization and speak in elated enthusiasm of the achievements of the autocrats. Nothing is today more fashionable than slandering Western civilization. This mentality has made it easy for Hitler to gain his victories. The Czechs and the Danes capitulated without a fight. Norwegian officers handed over large sections of their country to Hitler’s army. The Dutch and the Belgians gave in after only a short resistance. The French had the audacity to celebrate the destruction of their independence as a “national revival.” It took Hitler five years to effect the Anschluss of Austria; two-and-one-half years later he was master of the European continent. 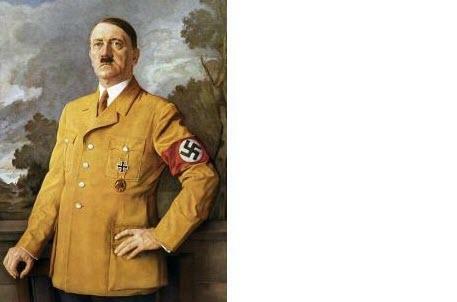 Hitler does not have a new secret weapon at his disposal. He does not owe his victory to an excellent intelligence service which informs him of the plans of his opponents. Even the much-talked-of “fifth column” was not decisive. He won because the supposed opponents were already quite sympathetic to the ideas for which he stood. Only those who unconditionally and unrestrictedly consider the market economy as the only workable form of social cooperation are opponents of the totalitarian systems and are capable of fighting them successfully. Those who want socialism intend to bring to their country the system which Russia and Germany enjoy. To favor interventionism means to enter a road which inevitably leads to socialism. An ideological struggle cannot be fought successfully with constant concessions to the principles of the enemy. Those who refute capitalism because it supposedly is inimical to the interest of the masses, those who proclaim “as a matter of course” that after the victory over Hitler the market economy will have to be replaced by a better system and, therefore, everything should be done now to make the government control of business as complete as possible, are actually fighting for totalitarianism. The “progressives” who today masquerade as “liberals” may rant against “fascism”; yet it is their policy that paves the way for Hitlerism. Nothing could have been more helpful to the success of the National-Socialist (Nazi) movement than the methods used by the “progressives,” denouncing Nazism as a party serving the interests of “capital.” The German workers knew this tactic too well to be deceived by it again. Was it not true that, since the seventies of the last century, the ostensibly pro-labor Social-Democrats had fought all the pro-labor measures of the German government vigorously, calling them “bourgeois” and injurious to the interests of the working class? The Social-Democrats had consistently voted against the nationalization of the railroads, the municipalizationof the public utilities, labor legislation, and compulsory accident, sickness, and old-age insurance, the German social security system which was adopted later throughout the world. Then after the war [World War l] the Communists branded the German Social-Democratic party and the Social-Democratic unions as “traitors to their class.” So the German workers realized that every party wooing them called the competing parties “willing servants of capitalism,” and their allegiance to Nazism would not be shattered by such phrases. Unless we are utterly oblivious to the facts, we must realize that the German workers are the most reliable supporters of the Hitler regime. Nazism has won them over completely by eliminating unemployment and by reducing the entrepreneurs to the status of shop managers (Betriebsfuhrer). Big business, shopkeepers, and peasants are disappointed. Labor is well satisfied and will stand by Hitler, unless the war takes a turn which would destroy their hope for a better life after the peace treaty. Only military reverses can deprive Hitler of the backing of the German workers. The fact that the capitalists and entrepreneurs, faced with the alternative of Communism or Nazism, chose the latter, does not require any further explanation. They preferred to live as shop managers under Hitler than to be “liquidated” as “bourgeois” by Stalin. Capitalists don’t like to be killed any more than other people do. What pernicious effects may be produced by believing that the German workers are opposed to Hitler was proved by the English tactics during the first year of the war. The government of Neville Chamberlain firmly believed that the war would be brought to an end by a revolution of the German workers. Instead of concentrating on vigorous arming and fighting, they had their planes drop leaflets over Germany telling the German workers that England was not fighting this war against them, but against their oppressor, Hitler. The English government knew very well, they said, that the German people, particularly labor, were against war and were only forced into it by their self-imposed dictator. The workers in the Anglo-Saxon countries, too, knew that the socialist parties competing for their favor usually accused each other of favoring capitalism. Communists of all shades advance this accusation against socialists. And within the Communist groups the Trotskyites used this same argument against Stalin and his men. And vice versa. The fact that the “progressives” bring the same accusation against Nazism and Fascism will not prevent labor some day from following another gang wearing shirts of a different color. What is wrong with Western civilization is the accepted habit of judging political parties merely by asking whether they seem new and radical enough, not by analyzing whether they are wise or unwise, or whether they are apt to achieve their aims. Not everything that exists today is reasonable; but this does not mean that everything that does not exist is sensible. The usual terminology of political language is stupid. What is “left” and what is “right”? Why should Hitler be “right” and Stalin, his temporary friend, be “left”? Who is “reactionary” and who is “progressive”? Reaction against an unwise policy is not to be condemned. And progress towards chaos is not to be commended. Nothing should find acceptance just because it is new, radical, and fashionable. “Orthodoxy” is not an evil if the doctrine on which the “orthodox” stand is sound. Who is anti-labor, those who want to lower labor to the Russian level, or those who want for labor the capitalistic standard of the United States? Who is “nationalist,” those who want to bring their nation under the heel of the Nazis, or those who want to preserve its independence? What would have happened to Western civilization if its peoples had always shown such liking for the “new”? Suppose they had welcomed as “the wave of the future” Attila and his Huns, the creed of Mohammed, or the Tartars? They, too, were totalitarian and had military successes to their credit which made the weak hesitate and ready to capitulate. What mankind needs today is liberation from the rule of nonsensical slogans and a return to sound reasoning.